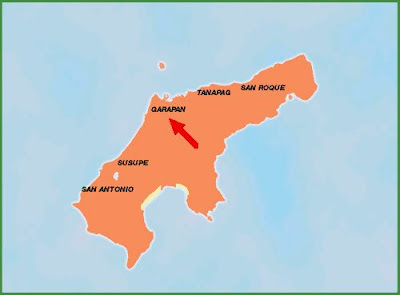 From 1899 to WWI Saipan was under German administration. 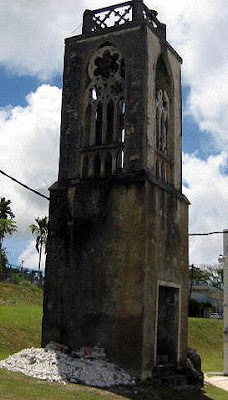 The Germans constructed the Bell Tower in 1910 out of wood. It was damaged in a typhoon and rebuilt in the 1920's and looks pretty much the same today except for the bullet holes from 1944. 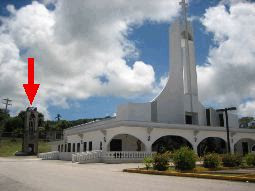 The church attached to it was destroyed in the Battle of Saipan. This tower once stood tall in the heart of Garapan but is now dwarfed by the modern church next to it.